The Chaos Engine and Speedball creators for Amiga is known all over the world. The Bitmap Brothers were pioneers in game development that lifted Amiga interest a lot. The smashed the Amiga gaming charts like no other company. Not just The Chaos Engine, but also the violent Speedball series. Xtravaganza to this! What on earth were they smoking? I what comes to my mind. Undeniably brilliant and frustrating at the same time, titles by The Bitmap Brothers were truly works of art. Today, games like Tower 57 which is bringing their creations ideas to Nextgen AmigaOS systems, and for other operating systems on Steam. Dystopian works of art is what they made. Ever imagine a future so dark and corrupted, daylight was a thing of the past? Don’t bother, these guys have already done it, and how! The company was founded in 1987 by Mike Montgomery, Steve Kelly and Eric Matthews in East London. We may not know how to do a decent steak in this country, but we sure as hell have some development houses to be proud of. The Bitmap Brothers is for sure one of them. 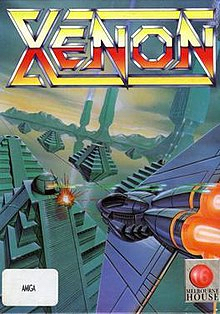 They started out on the legendary Atari ST and Amiga, with Xenon as the launch title in 1988. Xenon came out first for AtariST and then ported to Amiga. 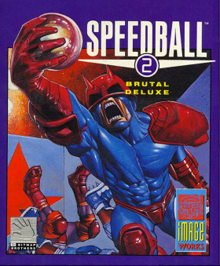 Then Speedball was released for both machines in 1988. Both of which you would have heard of if you lived at those times. Xenon is a gorgeous top down shooter and Speedball a futuristic 5 on 5 rugby-style game (for want of a better metaphor, suggestions on a postcard please). If you don’t like difficult games, don’t pick up Xenon! Or Xenon 2 for that matter! Playing Xenon 2 as a child made me tear my hair out and if you can see how people looks like now that have played this game look like now, well, let’s just say that The Bitmap Brothers owe people a wig or two. Speedball was more fun, although prepare yourself for a pasting or two. Its a rugby kind of game set in a futuristic scene. Then the The Chaos Engine games took over. 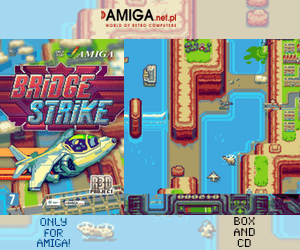 Just look at this fantastic Amiga CD32 version below. This is what I call art. 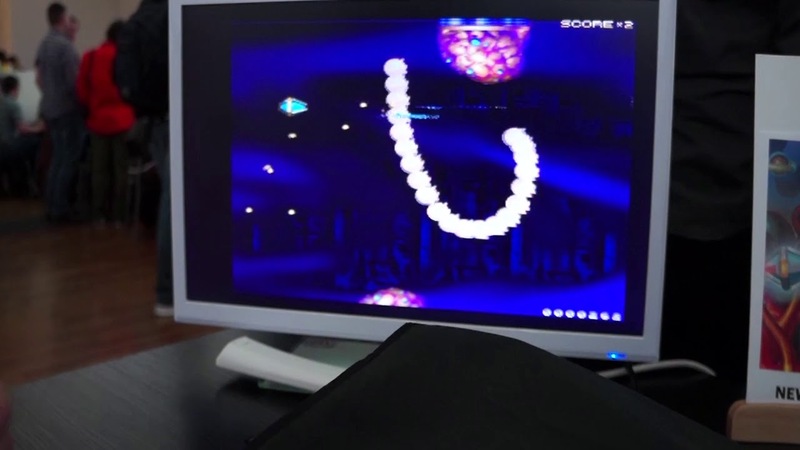 -Olly Dibben Interview – former Bitmap Brothers coder. Admittedly, The Bitmap Brothers received some help with Xenon 2 which was actually coded by The Assembly Line who then went on to develop Interphase which a lot of people (me included) consider to be the first ever first person shooter. Now that’s some good help! Their assistance could help explain how gorgeous Xenon 2 looks -less timing coding and more time designing can only lead to good things (er… ). Back in the days. Developers did everything in making games that were quite hard. It’s not like today with gamers requiring easy made games? Just look at the Amiga version of Superfrog versus the one that is out for smartphones. There are Remastered versions of The Chaos Engine on Steam and Speedball 2 HD on Steam, which is based on Speedball 2 but not made by The Bitmap Brothers. This version which is also titled Brutal Deluxe, has a sacred place in many retro gamers libraries. Why? Because it’s bloody brilliant (pardon the pun). Actually that’s a bad pun. In amongst all of Speedball 2’s violence I don’t ever recall blood, although some of your teammates took a bit of a pounding. I could write forever about Speedball 2 (we’ll save that for another day), but the most pleasing thing about it for me, is that it doesn’t lose anything on any platform. From the original version that was developed for the Amiga platform to the 8-bit Master System version, they’re all as playable as hell (slightly better pun). The added players and bonus pinball-esque things you could hit around the arena both being inspired additions. The 8-bit, 16-bit and 32-bit machines, in retrospect, struggled to create enjoyable sport simulations especially when it came to football or rugby. Speedball 2’s dynamics made for a fun, brutal (getting a bit better) experience that satiated our need for a sport simulation somewhat. Now, what to say about The Chaos Engine and The Chaos Engine 2 (which was only released on the Amiga platform). Well, it’s chaos really, isn’t it? The Bitmap Brothers had produced Gods and Magic Pockets since Speedball 2, but neither title really did it for me. They were sports alike games. But The Bitmap Brothers needed some plattformer that would take them even higher. The Chaos Engine did it for me, and how! A top-down run and gun game in a similar vein to… you gotta help me… Smash TV? (Thanks a lot Acclaim/Flying Edge… ) It was so addictive I wasted (or spent) weekends playing it. The plot was ridiculous (Baron Fortesque anyone? ), but the whole time-travelling shtick worked! The game also introduced different methods of completion through the character select. I don’t know about you, but I always went for the Navvie and Thug combo when possible. Obliteration the only way to defeat The Chaos Engine! Regardless, this extended the game’s longevity and that’s seemingly what The Bitmap Brothers were about. Including the Amiga made titles. They made the well respected “Z”. They also developed several Command and Conquer hybrids. The company also produced a few more Speedball sequels, although Speedball Arena was sadly cancelled before it could be released. On Steam versions of both The Chaos Engine and Speedball 2 is available for download. Looking at their back catalogue I can’t help thinking that they could have produced more titles. I can only conclude that their time was spent ensuring that everyone, regardless of what console or system they owned, could enjoy their work. And for that I am forever grateful. Today, you have Tower 57 which is the newest The Chaos Engine alike game. You find it for AmigaOS as described here and even on Steam too. The graphics is very alike. The top-down look, the explosions, enemies and the atmosphere is there. Tower 57 is also well made. You can read our review of it here. 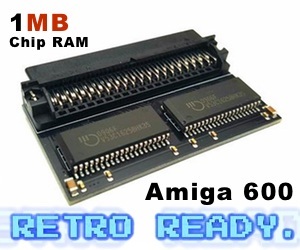 Thanks to The Bitmap Brothers for what they did to the reputation of Amiga gaming scene. They released so many unique creations that is still used today and they will always be remembered.